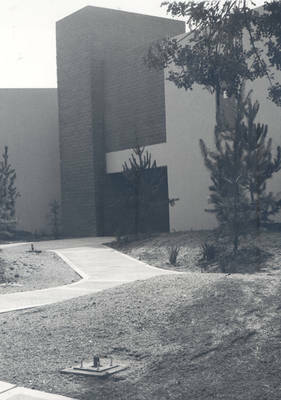 Entrance to Bertea Hall, Music Department in the Fine Arts Complex designed by Leason Pomeroy III and Associates, Chapman College, Orange, California,1975. Looking southwest. BW photograph; 6.5" x 4.625"